Listed below are some of the species cultured in Victoria. 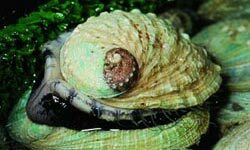 Abalone are marine gastropods that inhabit rocky substrates in coastal environments. In Victoria two endemic species are cultured the black-lip and green-lip abalone. A majority of product is exported to Asian markets. Abalone are grown in land-based farms that pump water through or offshore within aquaculture fishery reserves. Atlantic Salmon are farmed in temperate areas around the world mostly in marine cages. 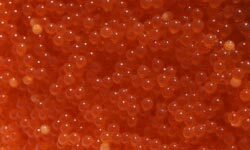 In Victoria, Atlantic salmon are farmed in freshwater flow through earthern raceways for production of premium quality caviar. Barramundi are a tropical species that can be grown in marine, estuarine and freshwater environments. 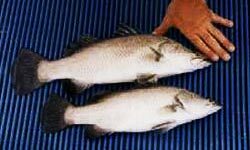 Farming of barramundi in Victoria is only permitted in indoor biosecure recirculating aquaculture facilities due to the disease risk they pose to endemic native species. 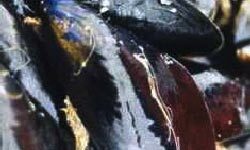 Blue mussels are grown in aquaculture fishery reserves in Port Phillip Bay and Western Port. Blue mussels are a widely distributed in waters off the southern coast of Australia. Mussels are grown using longlines and are seeded naturally or from hatchery produced spat. Two species long-fin and short-fin eel are endemic and cultured in Victoria. Eels are cultured in both extensive (impoundment or pond based) and intensive (tank based) systems. 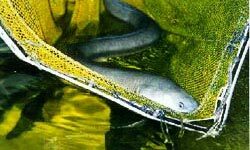 Eels are unable to be bred in captivity so all the seedstock is sourced from the wild fishery. The majority of product is exported to European and Asian markets. 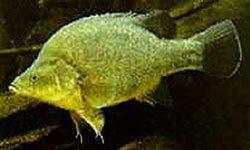 Golden perch is a freshwater species endemic to the Murray-Darling basin. They are generally grown at low density in ponds. 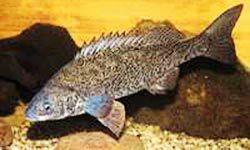 Murray cod is Australia's largest native freshwater fish. Murray cod can be grown at high densities in recirculating aquaculture systems or extensively in large irrigation dams. 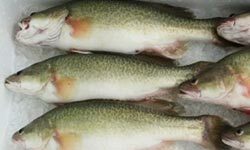 The market size for the species ranges from 500g to 3kg, with production in Murray cod aquaculture expected to grow significantly over the next few years. For many years the keeping of ornamental or aquarium fish has been a major activity in Australia with several million hobbyists. Species range from the freshwater goldfish and tropical freshwater species to highly coloured marine species. Many native freshwater species offer aquarium potential including smelts, galaxids, catfish, rainbowfish, hardyheads, perches, gudgeons and gobies. 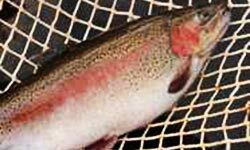 Rainbow trout farming is the largest aquaculture sector in Victoria. Trout require good water quality to grow fast. Semi-intensive and intensive grow-out systems for trout use flow-through systems where large quantities of water are continually exchanged in the culture unit. Brown trout is cultured primarily for restocking purposes. Silver perch are a native freshwater fish endemic to the Murray - Darling Basin. This species has been found to adapt well to most aquaculture systems. Commercial aquaculture hatcheries produce juveniles for on-growing in extensive or intensive freshwater systems. 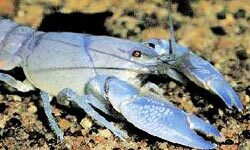 Yabbies are a widespread species of freshwater crayfish endemic to many natural and artificial (dams) waterways in Victoria. Yabbies production is vulnerable to the effects of drought due to the extensive nature of production in farm dams. A combination of 10 nets (labelled) that are hoop nets or open top lift nets in other waters including Lake Eildon, Rocklands Reservoir and Lake Dartmouth.